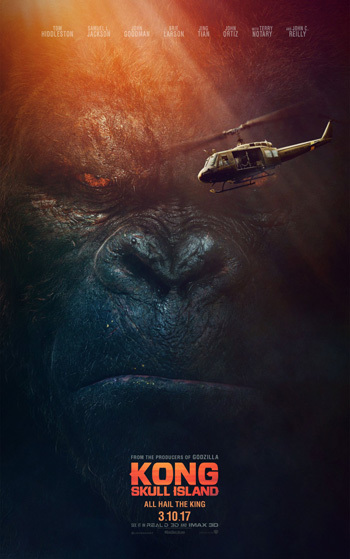 Tom Hiddleston, Brie Larson and Samuel L. Jackson star in the ‘King Kong’ prequel, Kong: Skull Island. Watch the movie trailer below! When a scientific expedition to an uncharted island awakens titanic forces of nature, a mission of discovery becomes an explosive war between monster and man. MPAA Rating: PG-13 for intense sequences of sci-fi violence and action, and for brief strong language.